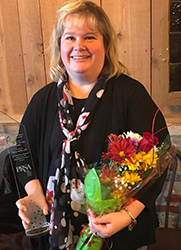 Every year PRSA Chapters within the East Central District (ECD) region are given the opportunity to submit a nomination from their membership for consideration of the District’s top practitioner recognition, the Platinum Award. This year five nominations were received. The PRSA ECD Board was impressed with the quality of all the applications. After careful review, the Board selected Rick Batyko, APR, Fellow PRSA, of the Greater Cleveland Chapter as this year’s honoree. Rick has more than 30 years of Fortune100 and nonprofit public relations, marketing and brand management experience. Currently, he is serving as senior vice president for marketing, communications and development for Team NEO in Cleveland. 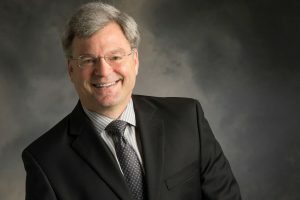 Prior, he has served as director of communications for Babcock & Wilcox; as a director of communications and brand management for AlliedSignal; as manager, e-media and news management at Honeywell International; and prior to Team NEO as an officer and vice president for marketing and communications at The Cleveland Foundation. He began his career in PR leadership roles with Rio Grande University and Lake Erie College. Batyko is a graduate of Ohio University’s E. W. Scripps School of Journalism with a major in public relations, and received his Master of Arts in public relations from Kent State University in 2012. He holds his Accreditation with the Public Relations Society of America (PRSA) and is an adjunct faculty member at Kent State University’s College of Journalism and Mass Communication, teaching courses in the Masters of Public Relations program. Rick is on the PRSA National Board of Directors representing the ECD region, and was recently voted in to continue on the Board at the national assembly. He is a past president of the Greater Cleveland and the Akron Area Chapters of the Society and past chair of PRSA’s East Central District’s Board of Directors. He has presented at a number of PRSA’s international and regional conferences, chaired or held positions on several national committees and has been a delegate at six national assemblies. He served on the 2013 College of Fellows Selection Committee, co-chaired the 2014–16 College of Fellows Strategic Planning Committee, a member of the PRSA Investment Committee, and a Champion for PRSSA. For his service to the profession, Batyko was inducted into PRSA’s College of Fellows in 2009. In 2013, PRSA Greater Cleveland Chapter presented him with its Lighthouse Award, which acknowledges a senior-level practitioner for contributions to the field and the community. His writings have appeared in an ABC-CLIO book on advertising titled, “We Are What We Sell” (2014); in a University of Akron Press book on community-building economic development titled, “Under the Rustbelt” (2015); and in a Praeger book titled, “Debates for the Digital Age” (November 2015). He is editing for ABC-CLIO (Greenwood imprint) an encyclopedia of the global digital. He has been published in the Public Relations Journal and in other outlets. His thesis, “The Impact of Japanese Corporate and Country Culture on Crisis Communications: A Case Study Examining Tokyo Electric Power Company,” was published to OhioLink in 2012. Batyko’s son, Bobby, is a graduate of Kent State University in public relations and is working for a nonprofit in Oberlin, Ohio. His daughter, Erica, is also a graduate of Kent State University in public relations and is working for a full-service advertising agency in Cleveland, Ohio. His wife, Mary, teaches for Akron Public Schools. So, you want to write a winning awards entry but are not sure where to start? Don’t worry. You’re not alone. Many PR professionals struggle to boil down their efforts into a concise, thorough summary with supporting evidence. With East Central District’s Diamond Awards season upon us, check out these six tips to help you craft a winning entry! Without metrics, how is success defined? Strong entries start by identifying measurable goals and objectives and end by demonstrating their wins and shortfalls. Judges need to clearly understand what you set out to do compared to what you achieved. Use hard numbers to demonstrate success, like stating that you grew Facebook followers by 30 percent in three weeks, exceeding the goal of 20 percent. While qualitative data is acceptable, stating that you “received several emails saying how great the music was at the event” frankly won’t cut it. If you must use qualitative results, do what you can to show how it was purposefully, even scientifically, gathered, such as fill-in-the-blank evaluations. Keep in mind the judges do not have any history with your entry topic. Do not assume they will fill in the blanks. When writing, pretend you are explaining your logic–why you did what you did–to a stranger on the street. Keep it pithy and to the point. Double check that your explanation does not have any gaps by asking a colleague to poke holes in your entry. Don’t count out your entry if your project did not reach the set objectives. Rarely is there a clear path to any goal. In fact, the twists and turns along the way often create heart in an entry. Take advantage of explaining the challenges showing how you adapted to changing circumstances and redirected your project to accommodate them. While it may seem simple, all too often excellent entries are entered in the wrong category. To avoid this embarrassing blunder, write your entry to make a case for achieving the category objective. For instance, Brand Management entries should demonstrate how your campaign helped your organization or client manage their brand. If you are not clear on the correct category, seek advice from the chapter or committee organizing the awards. Also, be careful to enter into the correct division: for-profit, non-profit, government, etc. While you may work for an agency, if your entry is on behalf of a nonprofit client, make sure you enter in the nonprofit division. The devil truly is in the details. Make sure you understand and follow the limitations and restrictions for things such as font size, page count and supporting materials. It might seem tedious, but the last thing you want is to get disqualified for a silly oversight. Take the time to triple check your entry before submitting it for judging. One of the best ways to improve your summary is to get inspired by reading past winning entries. Model their flow and format, modified to meet your unique entry. Just like when you are conducting research for a new project, learn what the judges liked in past years and adapt those characteristics into your piece. Ask colleagues if you can read their winning award entries, or check out Anvil winners on the PRSA National website. Please join us in celebrating our 2017 Platinum Award recipient Karen Stiffler, APR, of the White Pine Chapter. The award, the East Central District’s top individual recognition, was presented in November by Melinda Shriner, former chair of the East Central District, who read a letter of commendation from the ECD board. We’re excited to announce the recipients of 2016 East Central District Diamond Awards! The East Central District of the Public Relations Society of America called for shining examples of public relations campaigns and tactics for its 39th annual Diamond Awards competition…and that’s what we got! The Diamond Awards are presented to public relations practitioners who have successfully addressed a communication challenge with exemplary skill, creativity and resourcefulness. The Diamond Awards are open to any public relations professional who is a member of the 17 chapters of PRSA East Central District, or any nonmember whose place of business is within the district’s boundaries. The East Central District covers the states of Indiana, Kentucky, Michigan, Ohio, Pennsylvania and West Virginia. We thank the PRSA-Central Michigan Chapter for leading the Diamond Awards process. Please join us in recognizing our 2016 Platinum Award recipient Joe W. Gollehon, APR, Fellow PRSA. The award, the East Central District’s top individual recognition, was presented in November by 2016 ECD Secretary MJ Clark, APR, Fellow PRSA. During that meeting, we was recognized with the PRSA-West Virginia Chapter Lifetime Achievement Award. We’re excited to announce that it’s time for the 2016 East Central District Diamond Awards! The East Central District of the Public Relations Society of America is once again calling for shining examples of public relations campaigns and tactics for its 39th annual Diamond Awards competition. We’re also pleased to announce that the Central Michigan PRSA chapter is leading the Diamond Awards process this year and next and has some great plans in store. Last year was a learning year as we’ve transitioned planning of the awards to CMPRSA. Once again, please visit the host chapter’s Diamond Awards page, with payment information and further details HERE. Now is an excellent time to begin reviewing your campaigns and tactics for submission. Remember that strategic, multifaceted public relations campaigns that exemplify the four-step process and meet specific goals are ideal for campaigns. And a single project designed to accomplish a specific purpose that may be part of a larger campaign are perfect entries for tactics. Start your planning now! We’re so looking forward to seeing all of the entries and winners this year. For more information, contact the 2016 Diamond Awards chair, Greg Rokisky, at ecdprsadiamondawards@gmail.com.